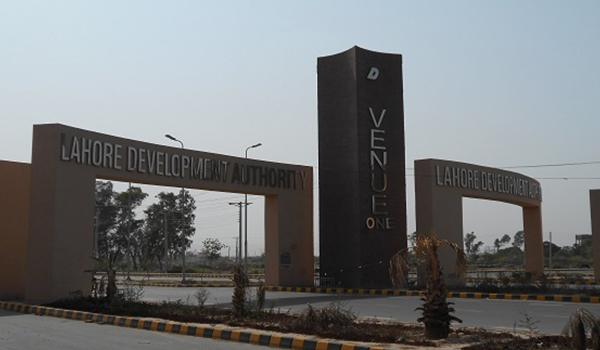 The Lahore Development Authority (LDA)’s Avenue I project on Raiwind Road has faced delays because of several litigation issues. I have covered this topic many times in my previous posts on LDA Avenue I, so I will not go into details about that in this post, because I have something new to cover today. What’s new: The LDA has requested the defaulters of the society to settle their accounts with the authority and pay their dues (if any). An advert titled “Akhri Notice”(Final Notice)has appeared in newspapers today, which warns the defaulters of the cancellation of their plots in the event of nonpayment of dues. The last date to settle the dues is June 30, 2015 and the defaulters have apparently been given one final chance. In case the defaulters fail to submit their dues by the stated date, the LDA will begin the procedure to cancel their plots. Please note that this notice is for the defaulters who are owners/allottees of plots in the clear area of LDA Avenue I.
I believe it is the responsibility of the allottees to play their part and settle their dues with the LDA. The society has already been delayed for years now and further delays in payments by the allottees will most likely worsen the situation. So in order to avoid any inconveniences or God Forbid cancellation of plots, the allottees should consider paying the dues as soon as possible. Though litigation issues persist in some parts of the locality, the clear area of the society is ready for you to build your houses. Currently, the major problem in the clear area is the unavailability of electricity. The civic authority has set up a grid station in Block M, but the electricity supply has not been started yet, which many of the prospective homeowners are probably waiting for. My advice is to go ahead, take possession and start building because electricity should be available in due course. Let’s talk about the society in the comments section below.